Do you believe that there is a more to a home than just a roof over your head, and a place to shelter your family? Unlike days of old, homes today have gone beyond just being brick and mortar structures. They’ve become a place to relax, de-stress, indulge and entertain. A place where we must find our happiness, peace and comfort. Interiors and decor play a major role in creating this ambience. 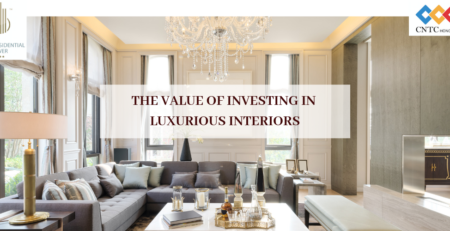 A less understood factor but one that is equally important are the home’s amenities. 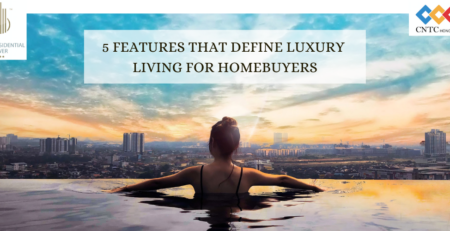 There are 5 Luxury Amenities that are non-negotiable when buying your home. Homes are purchased with a few amenities, some optional and some by default. Lawns, gardens and play areas are a part of most residences today, while swimming pools may not be a part of every home. Whether a home is bought with or without them depends on several factors, including the budget. Our findings so far have shown us how most homeowners look for the below 5 amenities during purchase in the longterm. Spaces are defined by size as well as the flow of movement. Large spaces are easy to manoeuvre, have designated areas for different activities, segregate functional areas and can carry off any kind of decor, whether minimalistic or opulent. The Presidential Tower’s residences for example are large and spacious, both inside and around. They are planned to optimise space while enhancing style and elegance. Exceptionally relaxing, swimming is a leisure activity that most homeowners love to indulge in. Swimming works out the body and de-stresses the mind. While most residential societies provide it, the infinity swimming pool at the Presidential Tower is one of a kind. One of only a handful in Bengaluru, the pool is exclusively accessible to homeowners, affords stunning views of the entire city and mimics the feeling of being amidst nature at the edge of a cliff. Large apartments need plenty of space for residents to exercise, run and keep themselves fit. Besides a way to de-stress, such areas also help human interaction and come equipped with facilities for all kinds of sports. Play a round of tennis at the tennis court, take your kids to the children’s play area or practice around the jogging track. Sports truly de-stress and are an essential amenity to avail. Keeping fit is non-negotiable and so is having a gym wherever we take up residence. Among one of the foremost activities that increase the body’s happy hormones is exercise. Gyms not just activate the body and mind but also are another way to interact socially, keep diseases at bay and slow the onset of aging. In the crazy lives we lead and the travel of today, we seem to be in a perpetual state of chaos. Finding that space of peace and solitude is increasingly becoming difficult, yet this is definitely non-negotiable. Meditation zones are must-have spaces that help the mind de-clutter, centre oneself and prepare us to take on complex tasks. There are some amenities that we can live without, and the above which are non-negotiable. A healthy body and mind can help us go a long way in keeping our spirits up and making the purchase of our home worthwhile. Find everything in one place at the Presidential Tower in Yeshwantpur.